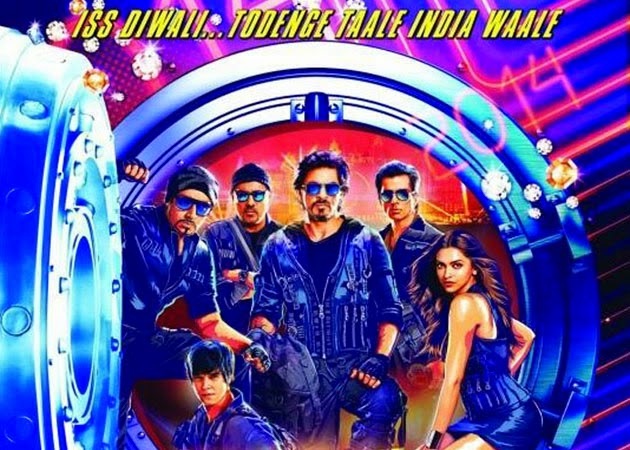 SRK's very waited movie Happy New Year's Trailer goes viral on Youtube, Facebook, Twitter everywhere. Here is the trailer video of this Movie. On 14th August 2014, the official Youtube channel T-series published this waited movie's trailer on Twitter. Just Before 7 days ago and the count of views goes to make a new record of more then 30 lacs view. Which shows that what SRK's fans are waiting for & how they behave with every move of SRK. This film was directed by well known director Farah Khan. 1. Shah Rukh Khan will be act as Charlie. 2. Deepika Padukone as Mohini. SRK is happy with first markable movement, 30 Lacs views in just 1st week. & given party at his home "Mannat" on Tuesday. One more achievement of HNY was, this movie became the first film launched on very known WhatsApp messenger. After then the total views of HNY trailer made a record breaking number of 4 million in just 24 hours of the first release.